Stewardship isn’t just about graciously giving of monetary resources; it is also about graciously giving our time. Some adults have a longing to engage in service, yet don’t know where to start. Or some adults live their live s without giving any of their time to volunteer work, and reach a point in which they feel unfulfilled. The giving of time is not only good for your own personal satisfaction; it’s appreciated by those on the receiving end of service. If early in life we teach kids about not only the value of service but als o about how to get creative in choosing what service projects they decide to get involved in, we are creating future caring stewards. In Barbara Lewis’ book, The Kid’s Guide to Service Projects, the author spends each chapter listing idea s of small and large service projects that kids can participate in in their own communities. All of these ideas are basic in nature and can be built upon by the child by investigating the resources that are available to the student in their specific community. Some of these projects are those where a child would follow the direction of others, and some of these projects are those where a child can take initiative and be a leader in creating and implementing the project. Prior to fully committing to a service project, the child should spend some time thinking about what is important to them. Is the environment an issue that they feel is close to their heart? Do they get really revved-up when talking about politics or government? 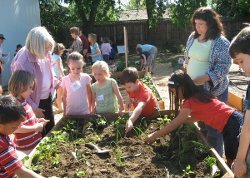 Do they believe that health and wellness are the keys to a great service learning project? The child should spend some time thinking about these things, and Ms. Lewis spends the first few pages discussing in more detail how a child can help decide what service project is right for them. 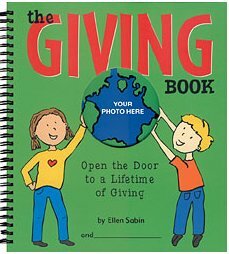 Here are some examples of chapters & projects that are in The Kid’s Guide to Service Projects. These projects can be adapted and implemented for kids up through teenagers. Contact your local zoo and ask which animals need help. Find out what animals need the most. Join a wildlife organization. Be an active member. Telephone unregistered residents and explain how to register to vote. Provide a voter pickup and transportation service for seniors or other people with special needs who might not be able to travel to the voting booth. Petition a student position on your community council, neighborhood committee, school board, or any state or local agency. Create a play that teaches children how to stay safe at home while their parents are away. Stewardship is “the spirit that influences” giving, receiving, and generosity (as Wayne Clark defines it in his book, Beyond Fundraising). As adults, while many of us give our time, money, or energy to worthy causes, one must recall where that desire came from. Think back to your life as a child; did you help others as you were growing up? In what capacities were you able to help? Who taught you how important it is to give back to the community? Wayne Clark writes, “People are not born with the giving gene,” so we must teach individuals to be successful stewards. If a culture of giving is created at a young age, becoming a successful steward as an adult is a likely reality.